Many of the Russian stadiums being used in the World Cup have been specially built for the occasion, with ventilation and air conditioning high on the list of must-haves for new venues. One of the venues for matches in the competition is the Mordovia stadium, in the city of Saransk. This brand new stadium is located in the centre of the city, and can seat 44,000 spectators. Its total area is 122,700 square metres. It has a slight problem, in that after the World Cup, it will be hosting the local football team, which doesn’t have 44,000 followers. So, like many of the stadiums specially built to host world cup matches in Russia, there are plans to downsize it once the competition is over, so that it seats 30,000. Reports indicate that fans of the local team will still find themselves with several seats each, even at the reduced capacity. There was a hotly contested bidding process for the air conditioning contract for the stadium. The contest was eventually won by Gree, a firm which isn’t that well known in the UK. They have installed a large AC unit which uses a screw chiller, has a water cooled operation and is highly efficient. Not to get too technical, but for the HVAC enthusiasts out there, it’s an advanced, dual screw, semi hermetic compressor. Semi hermetic compressors are being used increasingly in refrigeration applications today. In effect, both the motor that drives the compressor, and the compressor itself, are integrated. They operate inside a pressurised gas system. The motor’s design allows it both to operate in the refrigerant gas being compressed, and to use the gas for cooling. This unit’s heat exchanger is a high-efficiency model, and it has a dual loop to cut down on faults. 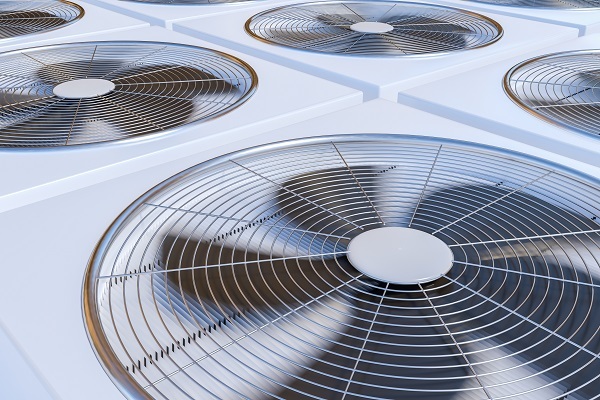 Russia said it wanted to run the most eco-friendly games ever – this air conditioning unit has an optimised power control which reduces energy use, and therefore operating costs. In fact, it has a top grade rating for energy efficiency. Like a lot of existing systems, it uses R134a as its refrigerant. Its coefficient of performance (COP) rating, which measures how efficient a system is, comes in at 6.2. This is Gree’s second World Cup contract. 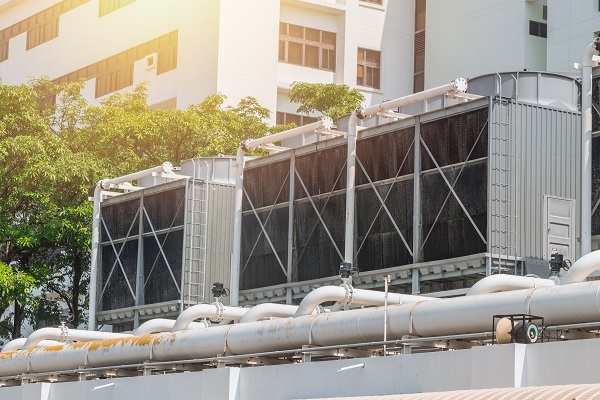 In 2010, it provided screw chillers, variable refrigerant flow units (VRFs), air conditioners and air processing terminals for the South African World Cup competition. Gree doesn’t have a very high profile in the UK, but apparently, they are the world’s largest manufacturer of air conditioning units. They’re a Chinese company which started in Zhuhai in 1991. However, Gree aren’t the only Chinese HVAC supplier to the World Cup. 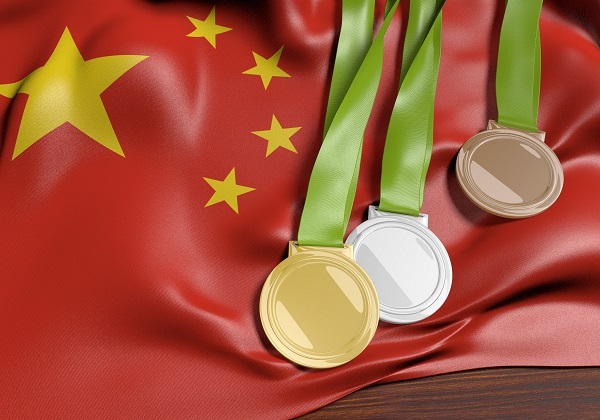 In fact, Midea, another Chinese manufacturer, is supplying HVAC to seven out of the 12 stadiums in use during the competition. They’re installing falling film screw chillers that are water cooled, MAi intelligent VRF systems that are full inverter, and fan coil units. In the falling film process, fluid evaporates on the outside of tubes which can be vertical or horizontal. It then moves downwards, thus “falling film”. It’s remarkable what you find out during the World Cup! Apparently there are some football matches as well as HVAC.